What pets Should Try Green Lipped Mussels? Why Should I feed My Pet Green Lipped Mussels? KNOWN FOR THEIR AMAZING, NATURAL ABILITY TO HELP BOTH HUMANS AND ANIMALS MANAGE ARTHRITIS AND JOINT RELATED PAINS, our GREEN LIPPED MUSSELS COME FROM THE COOL, CLEAR WATERS OF MARLBOROUGH SOUNDS IN SOUTHERN NEW ZEALAND- THE ONLY PLACE IN THE WORLD THEY'RE FOUND IN THE WILD. 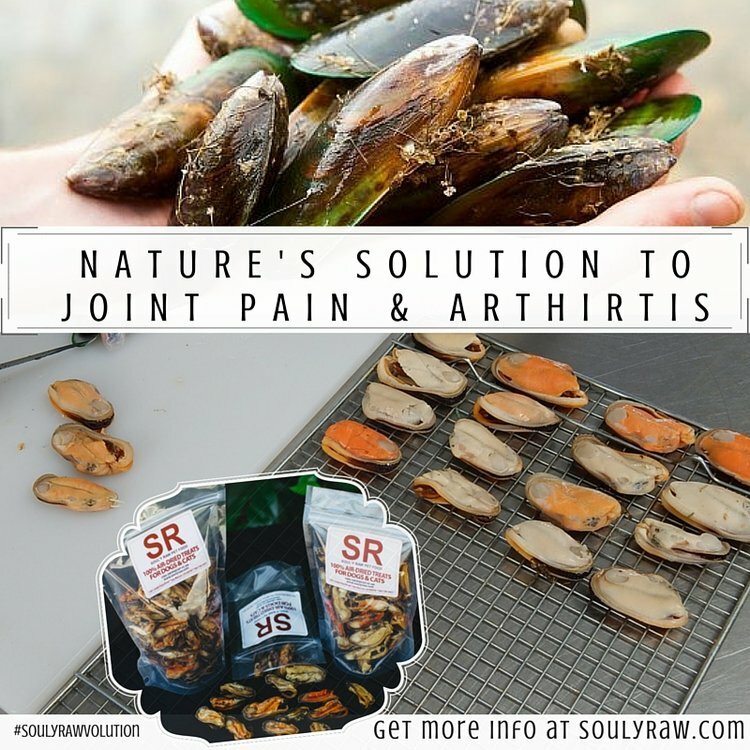 GREEN LIPPED MUSSELS ARE RICH IN GLUCOSAMINE AND CHONDROITIN THAT ACT AS BOTH A PREVENTATIVE AND A FAST ACTING ANTI-INFLAMMATORY FOR JOINT RELATED ISSUES. GREEN LIPPED MUSSELS ALSO CONTAIN A POTENT CONCENTRATION OF OMEGA-3S, AND A WIDE VARIETY OF VITAMINS, MINERALS, AMINO ACIDS, ANTIOXIDANTS, ENZYMES, AS WELL AS UNIQUE COMBINATION OF FATTY ACIDS NOT FOUND IN ANY OTHER MARINE OR PLANT SOURCE. SOUL'Y RAW'S WHOLE NEW ZEALAND GREEN LIPPED MUSSEL TREATS ARE 100% AIR-DRIED TO ENSURE THEY RETAIN THE FULL POTENCY OF THEIR HEALING PROPERTIES.